It will be held in the Conference Room on the First Floor at Mind West Kent. Free on-street parking is available on St. John's Road or on several neighbouring roads including Camden Road and Amherst Road. Delegates will need to buzz to enter the building and will need to sign in and out at Reception. Arrival from 10.00am when tea and coffee will be served and you will have the chance to meet and network with the other participants. The workshop will begin at 10.10am, groups will be a maximum of 10 people so you will have plenty of opportunities to ask any questions. The workshop will finish at 12.00pm after we've covered any additional questions you may have. 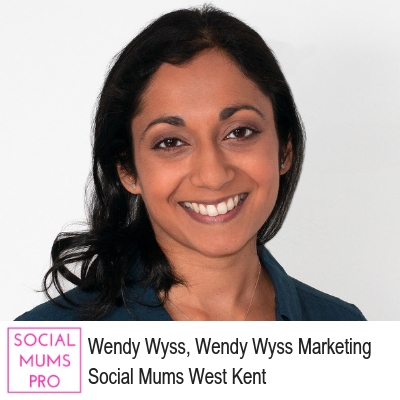 The workshop will be run by our Social Mums Pro for West Kent, Wendy Wyss. Wendy has over 10 years’ experience in the luxury and premium industries, across fashion, beauty and lifestyle and is also professionally trained in Social Media Management as a graduate of the Digital Mums Associate Programme.